Our designers noticed that ovals are making a big comeback in popular design. From this thought, the Alexander Oval Address Stamp was born. 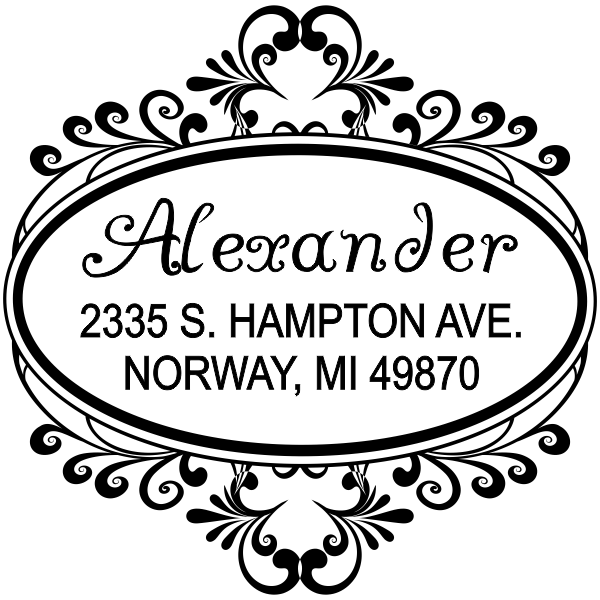 Your last name is prominently displayed at the top center of the design with your address beneath in a complimentary font. Surrounding the main oval is an intricate curved paisley design. 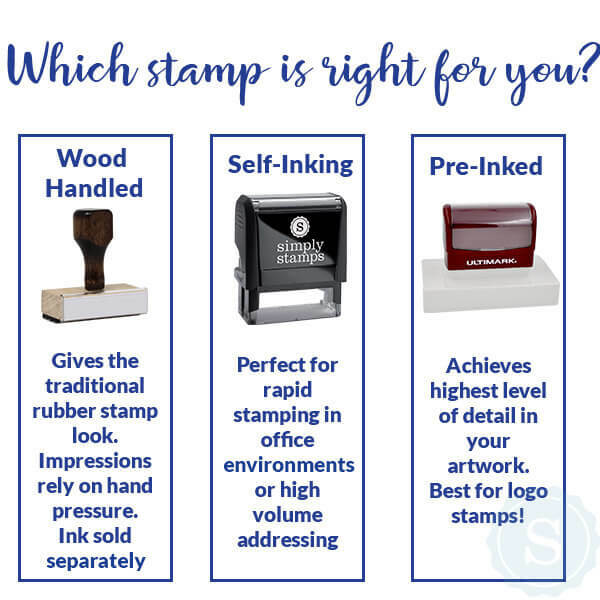 Customizing this hand-made stamp is simple. 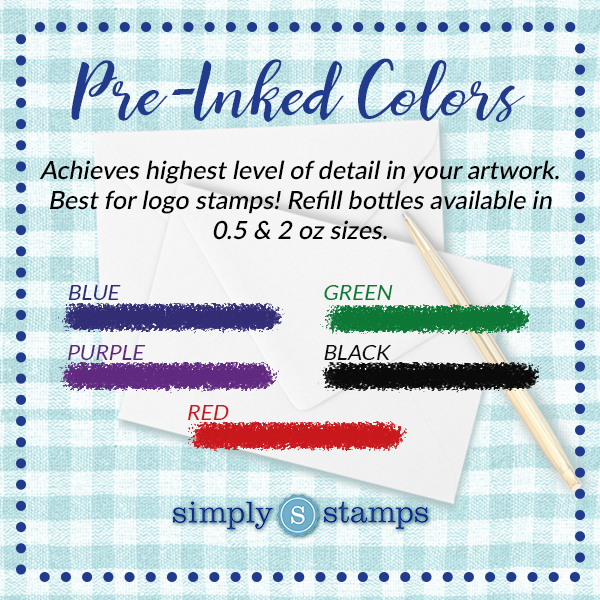 Just complete the fields shown with the information you want on the stamp. 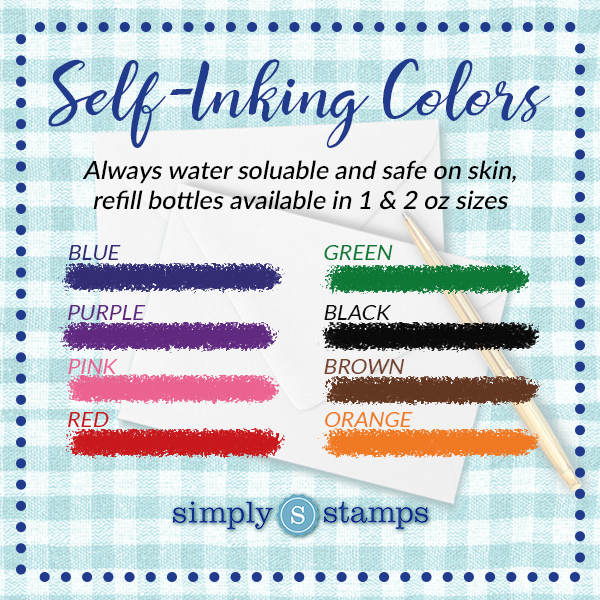 Next, select the style, size (starting at 1.625" and up), color and number of stamps you want. 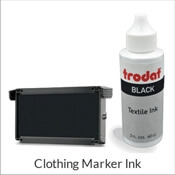 Then click "Add To cart" to continue shopping or complete your order. 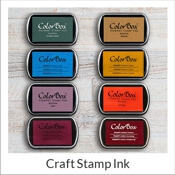 All of our stamps come with our guarantee: order today and it ships the next business day. Order yours now! 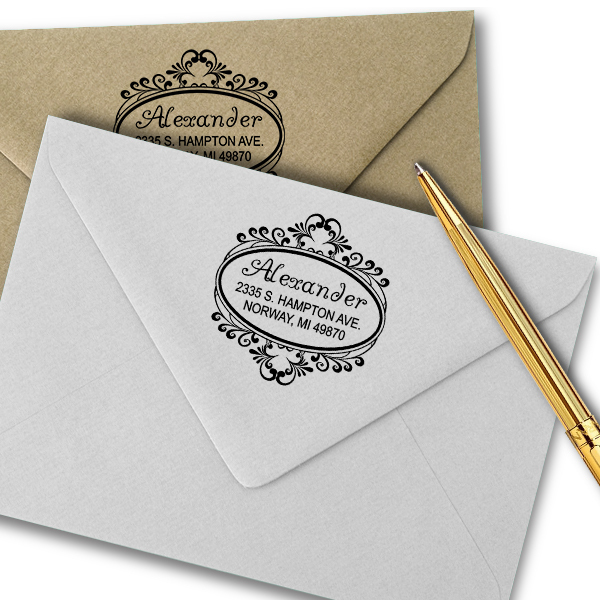 Alexander Oval Address Stamp Details Ovals feature heavily in the designs of the past, but now it's time for a comeback! 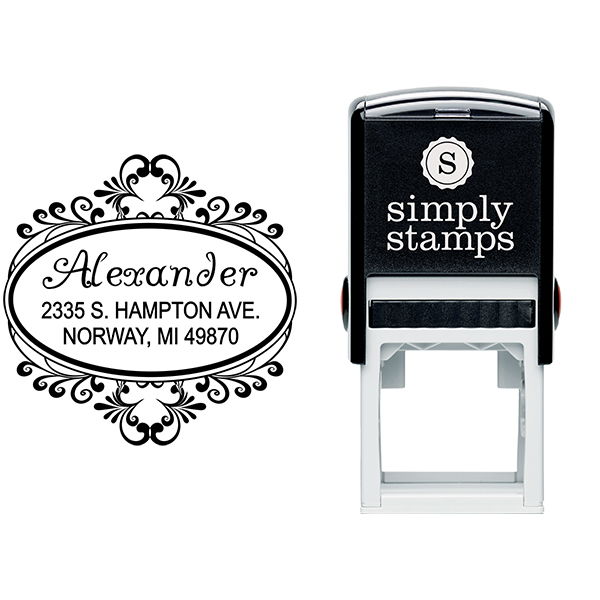 Combine the best of classic and modern design in this one Alexander Oval Address Stamp. 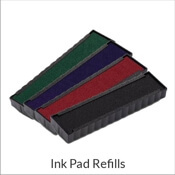 Fill out our easy customization form to insert all the relevant details. Delicate curling lines roll out from the rounded frame, culminating in a pair of hearts at the top and bottom. The cursive used for the name line is equally flowery, while the address remains written in a simple all capital font so automated mailing machines can quickly record the details. 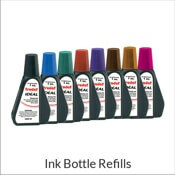 We carry enough ink options to help everyone find their favorite.